The Goldtec MiniFert is a single channel fertilizer injector. Utilizing a venturi and booster pump it offers accurate and reliable fertilizer injection in open field horticultural, and agricultural applications. 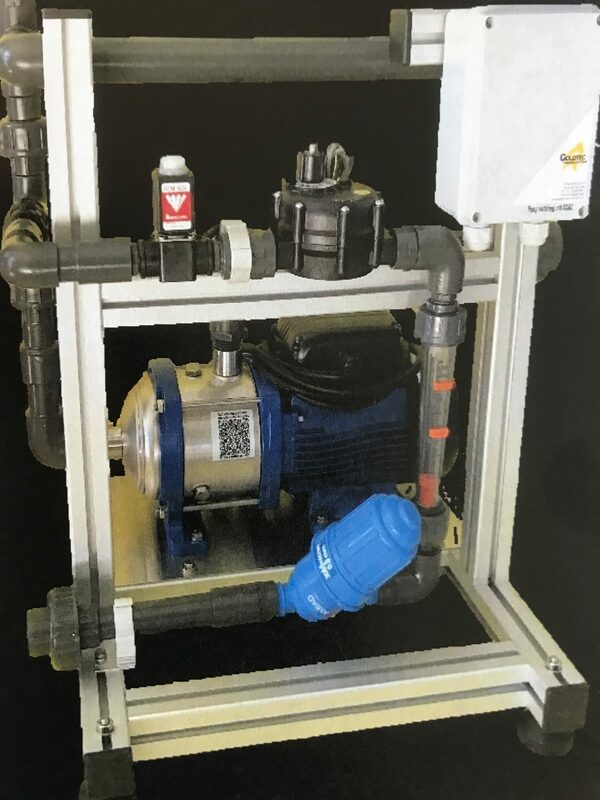 With the booster pump using single phase power, and solenoid and fertilizer meter that are connected to an irrigation controller, it allows for integrated operation that is most suitable with the Goldtec family of irrigation controllers.